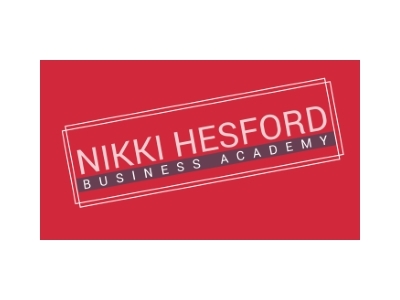 Nikki Hesford Business Academy works with pre-start, start-up and growing businesses to maximise their opportunities at a cost small business can afford. As a multiple award-winning business woman, Nikki has been on Dragon’s Den, sought £250,000 of investment, started, grown and exited her business and now helps other start-ups to achieve the same success. Specialising in marketing, digital, sales and commercial strategy we have a number of support options to suit the small business budget. Stay on track – all businesses (especially creative ones) think of so many great ideas that they forget their primary objective is to make a profit and grow. It is very easy when you have a creative mind, to think of new ideas every month and want to implement them – my advice is maintaining the mantra ‘Profit For Effort’ – the juice has to be worth the squeeze! Lancashire is full of determination and tenacity; we have the benefit of a great local business support network, tonnes of free / low cost networking groups and bags of free advice to help us all succeed! Boost can help most people in business – most of the support if 100% fully funded – whether it be one to ones, networking, mentoring or events – Boost can support most businesses to help them succeed where others fail.